Last night, the Tennessee Aquarium was fortunate to host Jean-Michel Cousteau and Gavin McKinney as part of the premiere for Dolphins and Whales 3D. 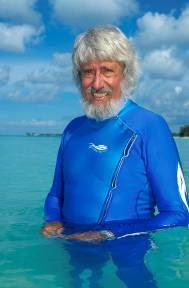 After watching the movie, Mr. Cousteau spoke for over an hour about the health of our oceans, and the connectivity of all of our ecosystems. He especially noted the need to preserve our life support systems. It was a remarkable lecture, and we enjoyed it thoroughly. An added bonus was the donation of all proceeds to the Aquarium's Conservation Society for the benefit of TNARI. If you ever get a chance to hear Mr. Cousteau lecture, don't miss it! For more about the lecture, read here.